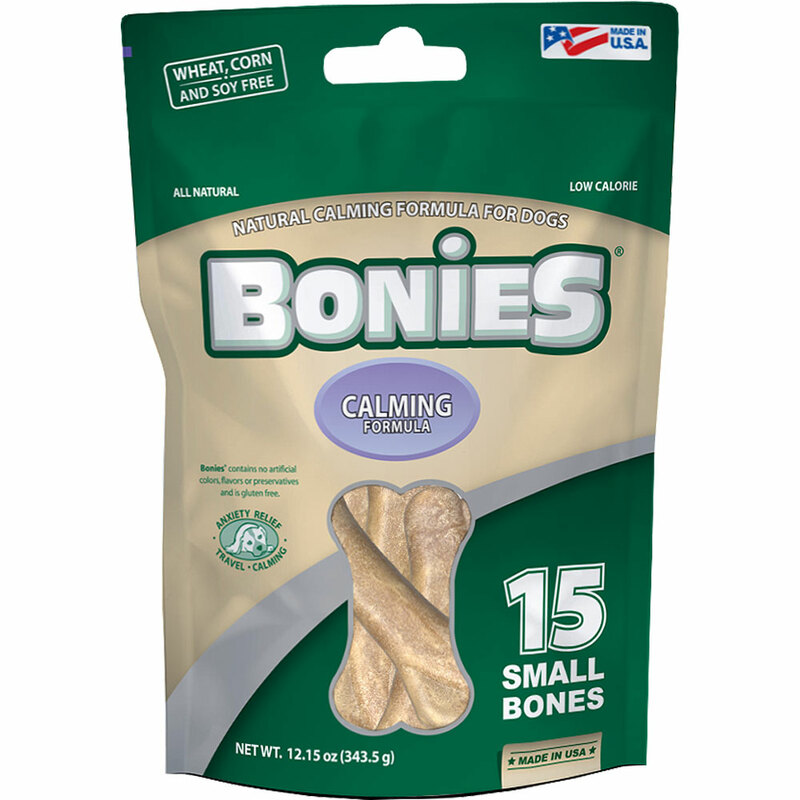 BONIES Natural Calming Formula is a unique dog bone that uses all-natural ingredients. Made to be a healthy treat for your dog while freshening their breath at the same time. Intended for dogs weighing 5-25 lbs. Ingredients: Brown Rice Flour, Rice Flour, Glycerin, Water, Tapioca Starch, Pea Flour, Natural Chicken Flavor, Carrageenan Gum, Calcium Carbonate, Brewers Dried Yeast, Lecithin, Parsley Powder, Citric Acid, Chamomile, Lavender, Peppermint Oil, Mixed Tocopherols (Natural Source of Vitamin E). Feed one bone daily as a healthy and natural treat to help anxiety, nervousness, hyperactivity, frayed nerves, excess, barking, abnormal urine marking, trembling or shivering and destructive or aggressive behavior, Always supervise your dog to ensure that the treat is adequately chewed; have fresh, clean water accessible. Not recommended for dogs under 4 months of age. 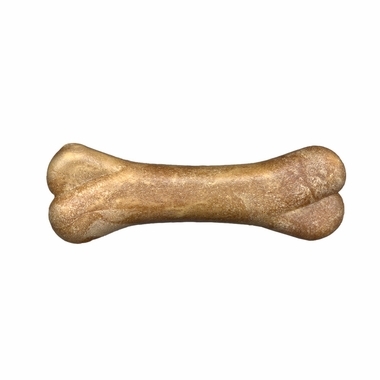 I work in a veterinary office and am always on the lookout for products to include in our "new puppy welcome kits." 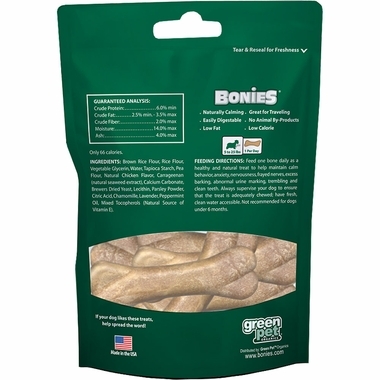 These Bonies are very popular and liked by most of the puppies. Many clients ask me where I order them and I am happy to tell them. I love the all natural ingredients. It is a great product.